STARS Athletics is proud to offer a unique program for individuals with special needs from 4 years of age and up. Specialized training designed especially for individuals with developmental and physical limitations. Designed by a Therapeutic Recreation Specialist, Personal Trainer and United States Association of Gymnastics Professional, UCA Cheer Professional and ISI/UFSA Skating Professional, the STARS program promises to develop athletes both physically and mentally while maximizing the fun! Recreational programs promise fun, fitness, socialization and a learning opportunity for families to gain an understanding of healthy lifestyles and the opportunities available to those individuals with special needs. The competitive programs are one-of-a-kind programs that offer elite coaching, great facilities and year-round training and competition opportunities to athletes with special needs. Athletes receive superior certified coaching support and have the opportunity to take part in the outstanding peer coach program, outings, clinics, camps, special events, trips and meets and competitions (locally & across the USA). STARS Athletics is home to several Special Olympic World Champions, numerous State and District Champions and many other titles in the sport of special needs gymnastics, cheerleading and figure skating. 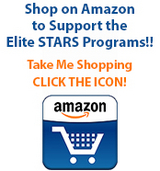 Superior and above the rest, the STARS are the elite for athletes with special needs. Founder Patty Hermann serves on the Special Olympic International Committee representing the USA in the sport of special needs gymnastics. The goal of the program is to train athletes in both USAG/UCA/ISI skills and Special Olympic routines; therefore, empowering all athletes to reach their highest possible potential both physically and mentally. Education, training, diet, nutrition, fitness, wellness and community involvement are all a part of this unique training program that works to develop athletes as a whole person. STARS Athletics is about more than just gymnastics, cheerleading, figure skating, and strength and power, it’s about getting more, doing more and being more. STARS Athletics specializes in this inclusive training track for a population which is currently not training and/or competing in USAG/UCA/ISI/UFSA skills and events. High intensive “normal” competitive training experiences with extended social opportunities in a “non-segregated” atmosphere is the priority. Certified and trained adult coaches, top notch training environments, trained and highly skilled peer coaches and professionally trained dance instructors are part of the foundation which makes this the place “where champions come to train.” Parents and family members are invited and encouraged to take part in the STARS Parents Club, assist with competitions, and participate in special events and fundraisers. Great facilities, fun social environment, certified adult coaches, skilled peer coaches, skilled dance instructors, special events, community shows, outings, specialty clinics, camps, parties, competition opportunities, both local and across the USA, and being a part of a superior sport family. STARS Athletics invites you to join our family where the only thing “special” in our programs is what we offer and the way we do things.